Thinking Global & Finally Ready to Act Local? 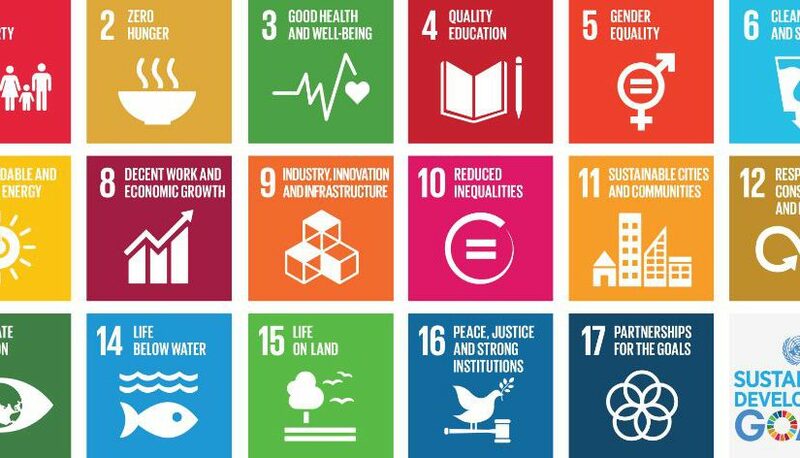 Since January 1, 2016, the Sustainable Development Goals (SDG) of the United Nations officially came into force. These are 17 targets which are divided into five major themes: People, Planet, Prosperity, Peace and Partnership. The Organisation of Flemish Cities and Municipalities (known by its Dutch acronym VVSG) has launched a pilot project where it seeks to recruit 20 volunteer Cities & Municipalities by 30 March 2017 to jointly examine how sustainability can be integrated coherently into the city and urban policy 2020-2024. As the successor of the Millennium Development Goals (MDGs) SDG has a fundamental difference being that they no longer rely on the traditional North-South divide. According to the VVSG* Sustainable Developments are universal and apply to all countries in the world, North and South, East and West. This means that there are many challenges and yet many opportunities to jointly strive towards helping to tell this universal story. Therefore, it is logical that they are targeting mainly local governments as well as companies, universities, scientific institutions and associations. Ordinary citizens the world over are encouraged to play their parts. For Ostend, and its Department for Social Welfare, also known as the Social House, as the arm of government closest to the people, SDG offers an interesting framework to create a link between the City Council and local practices on the one hand and local and global connection on the other. And Ostend is no starters in this domain. Oostende Mondiaal, the Municipal Council for International Development, for example, has long been active in the City-on-Sea with a strong 11-11-11 Standing Committee as well as the City-Link between Ostend City Council and Banjul City Council in The Gambia. The Gent City Council challenged several central cities and would collaborate with Ostend as SDG Voice within the framework of SDG 3: Good Health & Well-Being. The City of Ghent is engaging Ostend for the project “Everybody Cycles” or “Iedereen Fietst”. In concrete both cities want as many people as possible to cultivate the habit of cycling both for its health and economic benefits. Ostend needs the coaching and guidance provided by the VVSG mainly because in the long-term, it enables it to leverage on the strategic solutions to climate change, to ensure an accessible service for all and to galvanize citizens towards local consumption otherwise referred to as the ‘Short Food Chain’. These are all just examples of how sustainable development can be translated into the Ostend municipal level. There are strong indications that Ostend, being a mid-size metropolis, of huge cultural diversity, with over 130 different cultures, will see this as a unique opportunity “to contribute to the welfare of the citizens and to the sustainable development of the municipal area” as contained in Article 2 of the Municipal Decree. Your guess is as good as mine as to whether Ostend will be one of 20 participants in the pilot project offered by the VVSG. The ball is now squarely on the court of the supervising Councillor for International Development, Tom Germonpré (sp.a) to deliver this project for Ostend. The deadline for signing up is 30 March 2017. Time is of essence!